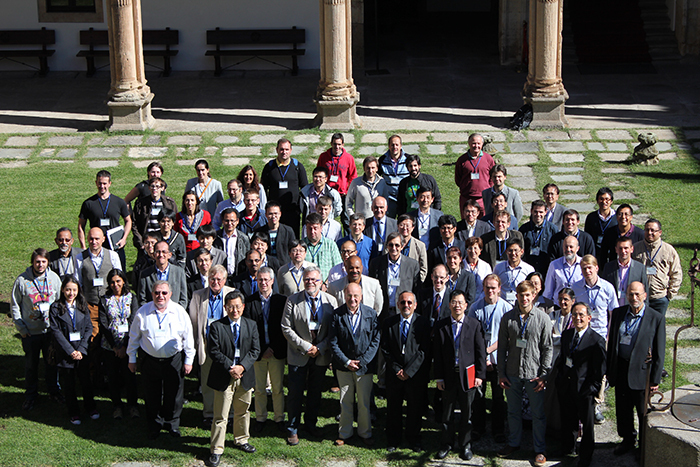 The twelfth ISUILS meeting was held at Colegio Arzobispo Fonseca, Salamanca, Spain during October 6 - 11, 2013. At the opening session, we had the honor of the presence of Dr. Ana Cuevas Badallo, Secretary General of the University of Salamanca, as Master of Ceremony, and Dr. Angela Fernandez Curto, Assistant Deputy, General Director for the Planning of Scientific and Technological Infrastructures, Ministry of Economy and Competitiveness, as a representative of Spanish Government. After Prof. Yamanouchi announced the opening of the symposium and thanked the University of Salamanca and Spanish Government for their strong support for ISUILS12, a tribute was given to the Honorary Co-chairs of the symposium, Prof. Deepak Mathur and Prof. Alfred Maquet. It was followed by nine sessions covering the wide areas of rapidly growing interdisciplinary research fields of ultrafast intense laser science. We enjoyed the presentations made by the discussion leaders and invited speakers as well as by the stimulating discussions that followed the presentations. A session of short “oral” presentations for poster papers has become a vital part of the symposium. A maximum of two minutes were given to each poster presenters to present their poster papers in PowerPoint slides. This year we had 29 poster papers, and the poster sessions were equally lively as the oral session. This year, we had a special Sponsors’ Session at the laboratory of the Spanish Pulsed Lasers Center (CLPU), where three companies, Amplitude Technologies, Femtolasers, and Lasing, SA (representing Spectra-Physics and Newport Corporation) presented their installments in the Center, in addition to a regular Sponsors’ Session at the symposium venue, where presentations were given by Thales Optronique, Fastlite, Coherent, and Japan Laser Corporation. We believe the attendees enjoyed both the scientific program as well as the atmosphere of the historic city of Salamanca. On behalf of the international organizing committee, we thank again all the invited participants, all attendees, and all the sponsor companies and organizations for having made the symposium both successful and enjoyable.